Making prints of the great photos dad has taken with his iPhone, iPod touch or iPad is as simple as docking it in the VuPoint IP-P10-VP photo printer. 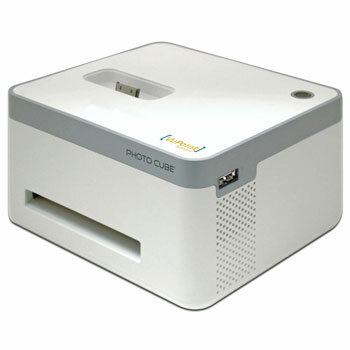 The compact 4x6-inch photo printer uses a thermal paper and ink cartridge, so refills are easy. And you can cable Android devices via the USB port. If Dad is looking to get in shape or even run a marathon, Pear has a heart-rate-based training program for him. The Pear Sqaure One monitors his heart rate and provides real-time auditory feedback to keep him on pace. Plus it provides training tips and motivation to keep you within the right training zone during his workout. 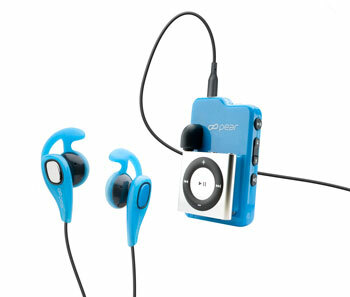 And if he likes to listen to music while he runs, he can clip an iPod Shuffle onto the device. A pair of headphones are packed in with the device. 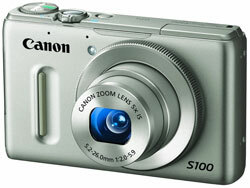 The Canon PowerShot S100 is king of the pocket point-and-shoots and perfect for dads that love photography. Like other Canon products, it's the quality of the components, not the specs that impress. The S100's particularly suited for low-light photography: the 5x zoom lens (28-105mm equivalent) has a maximum aperture of f/2, and Canon stuck with a reasonable 12.1-megapixel resolution CMOS sensor to keep image noise to a minimum. The high-res LCD is beautiful, the manual controls are nicely designed, and image quality for both stills and Full HD 1080p video are exceptional. Comes in black and silver. This sleek speaker bar has two discreet speakers plus a subwoofer built in for room-filling sound. Dad can dock his iPhone, iPod touch or iPad and charge while he enjoys music and videos. Or he can connect via Bluetooth and stream music from Android, Windows Phone or BlackBerry devices. And a USB port will keep his phone charged. This 1.3-inch SmartWatch displays time and date like any other watch, but when paired via Bluetooth with an Android smartphone it delivers much more. 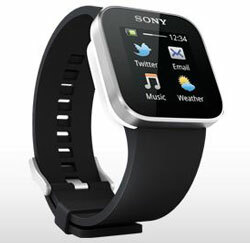 Dad can check caller ID, read text messages, email and social media updates or even control the music app. 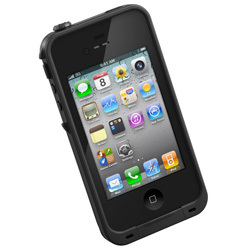 Built to withstand drops, dips in the pool, sandy beaches and just about anything he or the kids can throw at it, a Lifeproof case is a must if dad has an iPhone, iPod touch or iPad. Even better, this rugged case doesn’t add much bulk, just 1.5mm to each edge. If dad enjoys waging war against demonic creatures in his spare time, he’ll love Diablo III, the highly-anticipated next installment in the Diablo role-playing game series. The game is designed to appeal to hard-core gamers and casual gamers alike, with an easy-to-master point-and-click interface. The challenge comes in developing strategies to slaughter enemies. Plus he can choose to play alone or with friends in multi-player mode. Dad won't ever miss a game with a subscription to MLB.TV Premium. He can watch baseball streamed live in HD on any Internet-connected TV, set top box, Blu-ray player or Xbox 360 with the MLB.TV app And if he's a displaced fan, he can choose from home or away feeds. The Premium subscription also comes with a subscription to At Bat 12 to stream games to up to 12 supported iOS and Android devices. Much to our amazement, my Dad finally accepted to using a cellphone and now I think it is glued to his ear. My daughter was showing him posts from his nieces and nephews on Facebook which really blew him out of the water (very old school)so we are going to set him up a computer with internet access so he can join Facebook. My mother will never get him out of the house then!